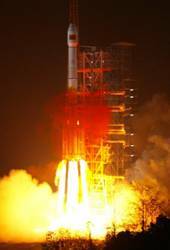 At 23:53 on June 2, China successfully launched the 4th BeiDou navigational satellite into the pre-designated orbit with the "Long March 3C" carrier rocket at the Xichang Satellite Launch Center, symbolizing that China has made another important step forward in building the BeiDou (COMPASS) Navigation Satellite System. The construction of COMPASS follows the principles of openness, independency, compatibility, and gradualness. The BeiDou satellite navigation system provides two kinds of global services: the open service, which is free and open to users, with positioning accuracy of 10 meters, velocity accuracy of 0.2 meter/second, and timing accuracy of 10 nanoseconds; the authorized service, which ensures high reliable use even in complex situation. China likes to work together with other countries to promote the common development of satellite navigation. According to introduction, the building of China’s BeiDou satellite navigation system is being steadily pushed forward in accordance with the "three-step" development strategy. The first step is basically realized. 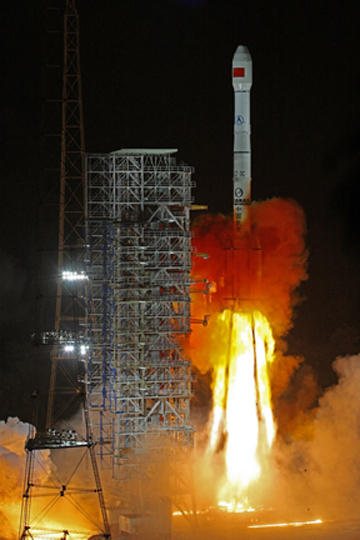 China launched 3 BeiDou experimental navigation satellites from 2000 to 2003, established a sound BeiDou experimental navigation system and thus became the third country possessing an independent satellite navigation system following the U.S. and Russia. In the second step, the BeiDou satellite navigation system will possess the capacity to provide position, navigation, time and short message communication service in the Asia-Pacific region by 2012. So far, China has successfully launched 3 BeiDou navigation satellites and got into the stage of building a network for frequent satellite launches. In the third step, the BeiDou satellite navigation system consisting of 5 geostationary satellites and 30 non-geostationary satellites which covers the whole globe will be established around 2020. Satellite navigation system is an important space infrastructure and can be widely used for economic and social fields. Currently, BeiDou satellite navigation system has been successfully applied in mapping, telecommunications, water conservancy, fishery, transport, forest fire prevention, disaster relief and national security, and many other areas, resulting in significant economic and social benefits, particularly playing a very important role in Wenchuan, Yushu in Qinghai Province earthquake relief. Openness — BeiDou will provide high quality open services free of charge from direct users, and worldwide use of BeiDou is encouraged. China will widely and thoroughly communicate with other countries on satellite navigation issues to facilitate the development of GNSS technologies and the industry. 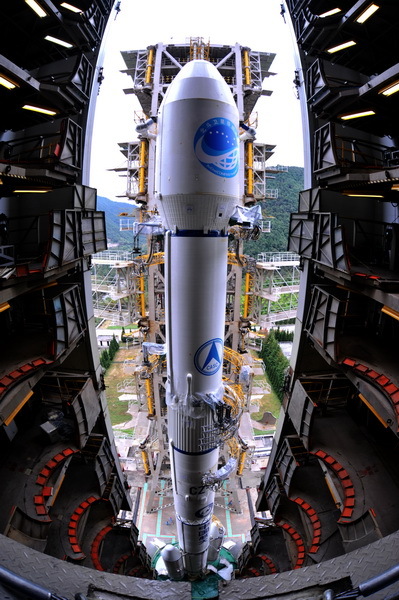 Independency — China will develop and operate BeiDou system independently, and BeiDou can independently provide services for global users and particularly provide high quality services in Asia-Pacific region . Compatibility — BeiDou will pursue solutions to realize compatibility and interoperability with other satellite navigation systems. Gradualness— The construction of BeiDou system follows a step-by-step pattern based on technical and economic evolution in China. BeiDou will provide long-term continuous services for users, improve system performance and ensure smooth transition during all life cycle. Comment: China has made another powerful sound: BeiDou system will be open to the world, and China will work together with other countries to develop BeiDou system. With these updates, the industry worldwide will focus more on the forthcoming NaviForum event this September in Shanghai. It’s reported that China 2nd Generation Satellite Navigation System Project Management Office has confirmed to be an official organizer, which is the first time they have become one of the organizers of NaviForum.